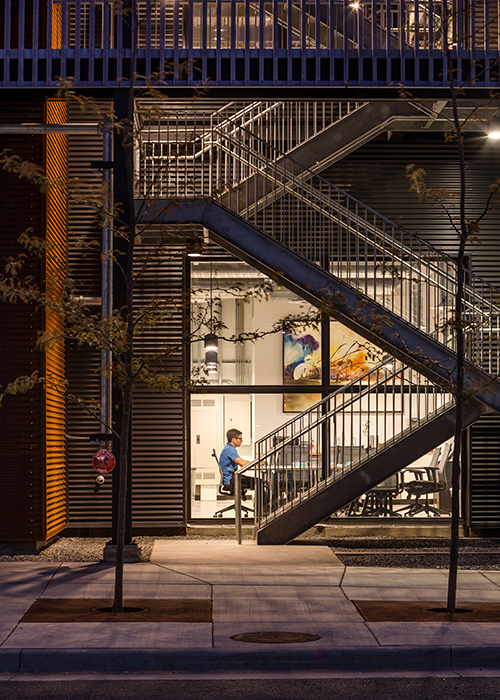 Two steel-framed stories and a rooftop patio were added to an existing two-story concrete-framed building, creating a new office building with 2,000 square feet on each of its four floors. 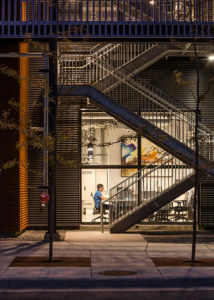 The addition and renovation adds an interior stair plus two steel stair towers and an elevator outside of the existing building footprint over which the new steel roof extends. Floors are cast-in-place lightweight concrete slab over metal deck supported by new structural steel frame. New exterior walls are light gauge steel stud bearing walls with diagonal bracing. 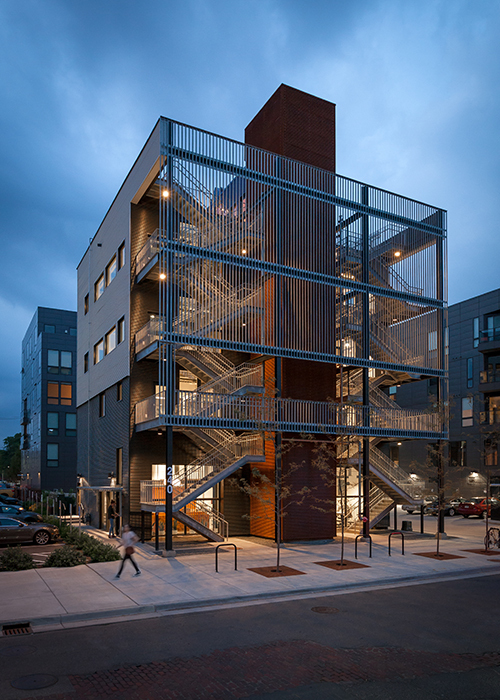 To limit bearing pressures on the existing foundations, loads at the perimeter of the bearing walls were reduced by adding new interior columns and using lightweight materials, such as wall studs and lightweight concrete slab on metal deck. Doubling the building’s height increased lateral loads, which were resisted by the elevator shaft and diagonal strap bracing on light gauge walls lashed to the existing concrete foundation walls.